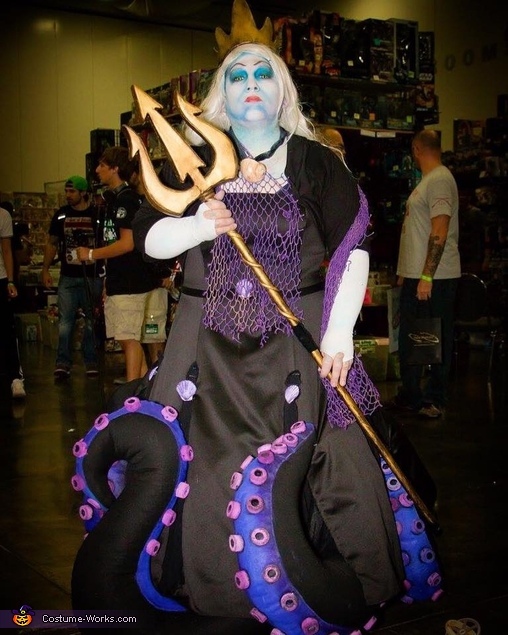 Tentacles are made of Fabric , Crown and Trident are a combination of insulation foam board and Worbla. Dress is also handmade. Costume cost about $500 to make and over 3 months of work.